PRESALES FOR THIS EVENT HAVE ENDED! There will be plenty of tickets available at the door. We are looking forward to another amazing show! PLEASE NOTE: All tickets are will call. Please print your paypal receipt and bring a government issued ID to the door. Beatdown staff will take care of everything else. Thank you for supporting your local music scene! within the realms of production; which was a natural progression for him having DJ’d on pirate radio and in clubs from the age of 15 (since 1993). His first release along side frequent studio partner Stress Level appeared on Dispatch after almost3 years of hard work getting their collective sound where they felt it needed to be in the studio before even thinking about turning on the DAT recorder. After their first release aired they quickly picked up a wealth of dj support on their early material and went on to release for a who’s who list of established Drum & Bass record labels including the likes of Renegade, CIA, Advanced, Critical Records Integral, Liquid V, Commercial Suicide, Good Looking Records, Bingo beats and Samurai Music. By demand remix work started to feature heavily within their output and the duo went on to remix for the likes of Hidden Agenda, Chris SU, Artificial Intelligence, Kabuki, Total Science, Optical & Ryme Time (Jagged Edge), Atlantic Connection, Tactile & DJ Marky. Ant’s production output has featured on a mass of compilations and mix cd’s compiled by the likes of Shy FX, LTJ Bukem, Total Science, AI, Spectrasoul, Klute and Brian G. Additionally his work has featured very heavily within the radio shows of Friction, Grooverider, Fabio & Bailey on their respective BBC Radio 1 slots over the years as well as BBC 1Xtra where Ant once hosted his own one-off 4 hour show. His DJ work has seen him play all over the globe from Adelaide to Los Angeles, from Hong Kong to Budapest, Tel-Aviv to Bangkok and last but by no means least regularly UK wide. Fast forward to 2012 and Ant is now solely responsible for the running & label manager role of Dispatch Recordings; having released a mix CD compilation, the hugely successful “Transit One” album last year (which topped almost all the usual stores weekly dance music sales charts across all formats) as well as a fine list of consistently quality single and EP releases from the likes of Survival, Break, Octane & DLR , Marcus Intalex, Commix, AI, Chris SU, Zero T, Cern, Dabs, Skeptical, Dub Phizix, Spinline, himself (and many more). Ant has recently remixed material for the likes of Lomax (Loadstar), Sunchase, Cern & Dabs as well as having his own solo work remixed by rising star Xtrah and working on further collabs with Survival. Ant also continues to run his own monthly night at ‘Momentum’ in Leeds (which is headed into it’s 10th year) as well as owning Metalheadz label events worldwide (for none other than the D&B legend that is Goldie) and continuing to dj across the globe on an ever-frequent basis. A member of the infamous Planet of the Drums crew alongside fellow drum ‘n bass pioneers AK1200, Dieselboy, & J Messinian, this Irish transplant has been a dominant figure in the U.S. drum ‘n bass scene since his arrival here in 1994. His discography includes 2 critically acclaimed full length artist albums, 8 DJ mix CDs, as well as numerous singles and remixes for artists such as Freq Nasty, Afrika Bambaata and Keoki. Dara co-founded the nation’s first & largest drum ‘n bass record store, Breakbeat Science, in NYC which doubles as his own imprint, Breakbeat Science Recordings. He has been featured in countless magazine articles and interviews both in the US and worldwide. 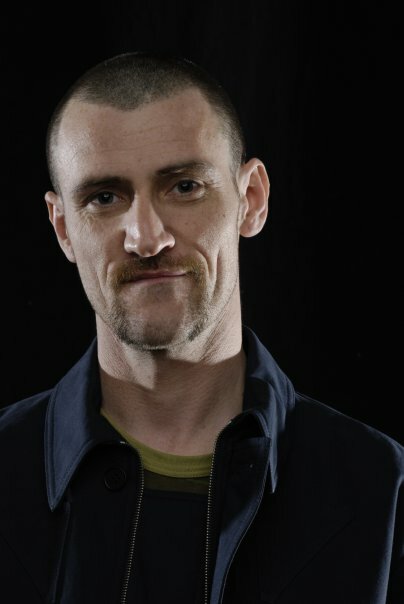 He previously hosted one of the internet’s most popular drum ‘n bass broadcasts, Velocity, where he regularly interviewed leading drum ‘n bass artists such as Jonny L, Kemistry & Storm, Trace, Ed Rush, Optical, Hype, Andy C, Zinc, and many others. Dara’s long standing relationships with the world’s drum ‘n bass elite gives him access to an astounding amount of new and unreleased material. His brilliant recording endeavors along with his incessant touring markey by consistently awe-inspiring DJ sets have made him one of the most recognized and well respected DJs in the country. DJ IkoN, a western mass native that started his DJ career 10 years ago. 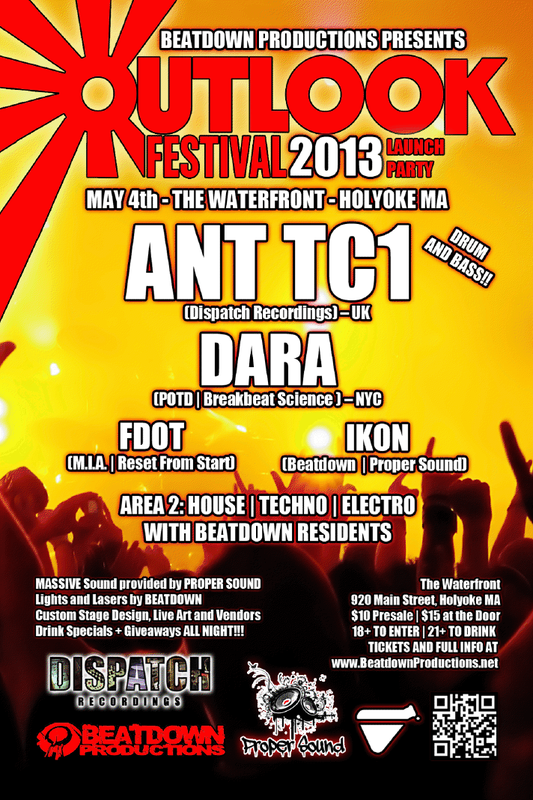 IkoN has been involved in the electronic dance music community for well over a decade. Playing a dark Drum and Bass that is as diverse as it is heavy. IkoN has played all over the east coast from New England to Florida. IkoN is a talented all around musician not just a DJ. With a wide range of influence such as Noisia, Phace, Octane, DLR, Break, Optical, Audio, BTK, and many many more. IkoN looks to push the barriers in whatever he’s doing. Crisp breaks, heavy bass and powerful melodies are the staple of his sound, making him a firm favorite with anyone who has seen him live. !!! BEATDOWN PRODUCTIONS RESIDENT SHOWCASE !! !